Do you miss the days you could carelessly run around playing treasure hunts? Or do you want to have an educational weekend that breaks away from the boring? We have found the perfect solution for you. 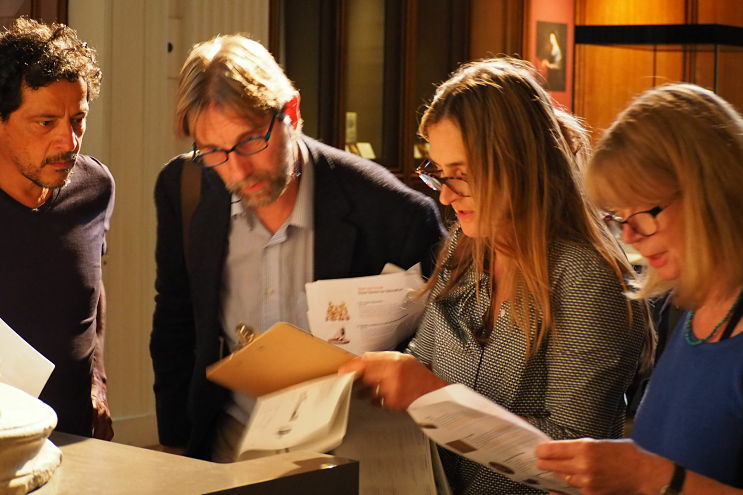 THATMuse that stands for Treasure Hunt At The Museum, is officially launching its bespoke museum treasure hunt event at London’s British Museum on Friday 24th March. Time to stop dragging your feet, and enjoy investigating the 8 million artefacts in the British Museum, in real life. Wife and husband team Daisy de Plume and Hernan Souto are the founders of the intelligently creative company. They understand how dull feeding your culturally curious appetite can be, or how hard it is to get your child to engage in their school project. So they came up with this solution. The best ideas come from the heart of passion, and that’s exactly where Daisy’s idea sparked from. She had a lifelong fascination with the history of art, which meant she spent hours of her childhood exploring Metropolitan Museum of Art in New York. From here a flower blossomed. 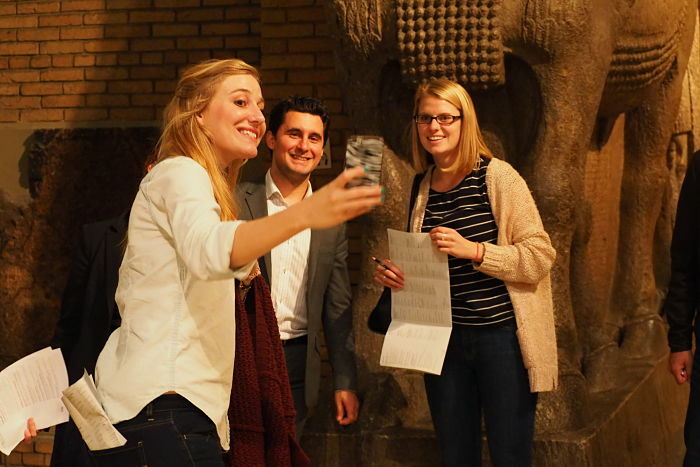 She first kicked started the idea into reality in 2012 at the Louvre in Paris: THATLou. Enthusiasm shined through in a fact-filled and funny hunt for the spell-binding collection that turned her idea into an interactive reality. From there the hunts have traveled from Musee d’Orsay, the Marais ad Latin Quarter areas of Paris as well as creating commissioned hunts for international brands such as Google, Lego and Airbus. The ‘Classic hunt’ you have a chance to be part of, typically last ninety minutes and requires a team of 2-4 people. Each hunt will revolve around a theme. Hunters will enter the healthy competition and weave through the halls. You have exhibits you can interact with and enjoy learning about the artefacts encountered, shaking away the dreaded ‘museum fatigue’. Participants are presented with a pack of different artefacts to find and then photograph their team usually in an amusing pose. So take a break to educate, and have a chance to let out a little silly in the process. Immersive theatrical cinema experience here.